Periodically, there are subscribers of your newsletter who wish to be removed. Each newsletter has an unsubscribe link at the bottom that allows users to easily unsubscribe on their own, but it is also possible for you to remove them from the email list too. On the left side of the dashboard, click Email. In the top left sub-menu, click Subscribers. 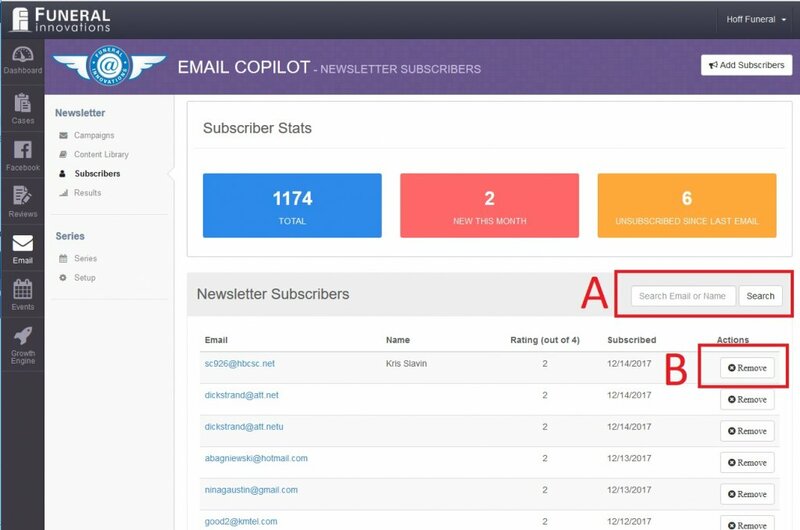 Your entire subscriber list will be displayed. Search for the desired email address (A), then click Remove (B) to remove them.